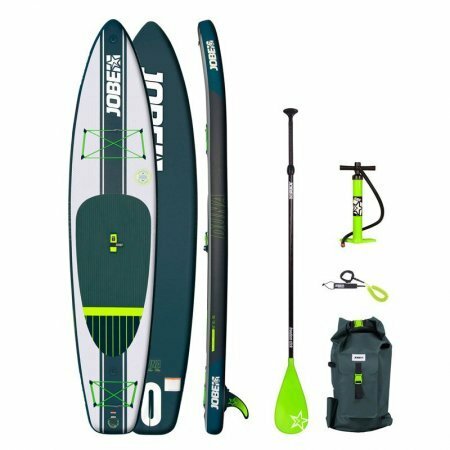 Jobe Neva 12’6 2018 – SUP, Windsurfing UK. The Jobe Neva 12’6 is your chance to go hard and go fast, with amazing straight line speed and control delivered in this sleak profiled design. A board that is just as capable taking on a coastal tour as it is racing in the #gbsup series. With the usual Jobe refinements and high quality construction you’ll be ready to take on new challenges with ease. A no compromise board that doesn’t have the price tag of other brands but is still able to deliver the performance offered by more race oriented brands. A performance sup, the Jobe Neva 12’6 excels in race conditions for the entry level racer or downwind paddle boarder. Compared to the full on race machines the Jobe Neva 12’6 is 29 inches wide so it’s no a challenging ride for any budding racer. 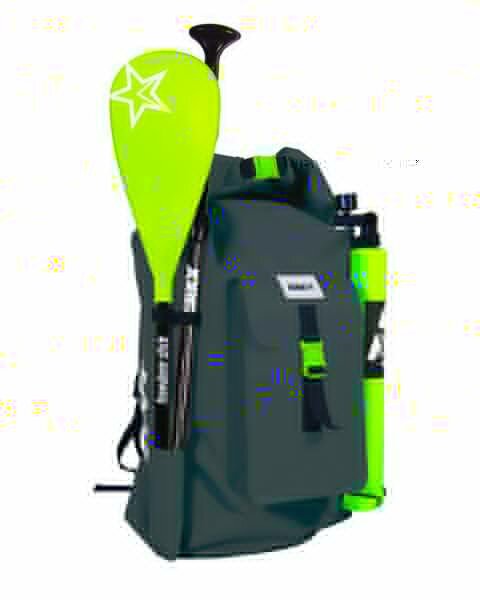 This might not be to the elite league of paddlers but is perfect for larger or entry level racers and those wanting to head out to sea and experience open and exposed water. As always we have the innovative drop stitch technology that Jobe applies to all of its 2018 boards which has massively improved rigidity. Certainly in a board of this size that is a massive plus as any flex will massively reduce the boards speed and stability. The Jobe Neva has a square tail design the board has superb stability in rougher water which makes it a pretty useful downwind board, but for the racers you’ll find it super easy to pivot turn. 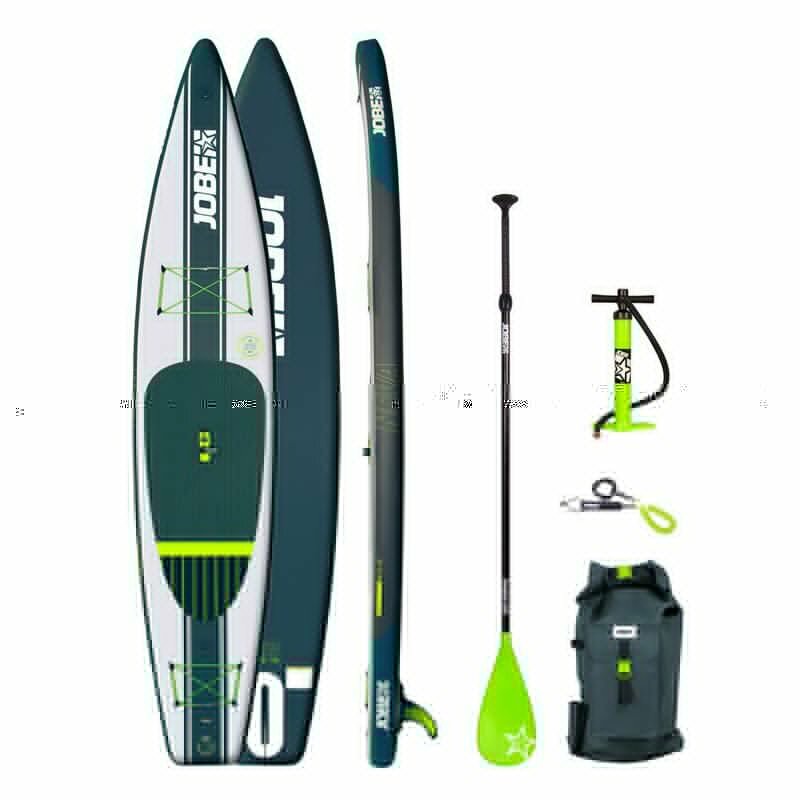 If you're still unsure why not come and TRY the Jobe Neva 12'6 inflatable sup and make up your own mind! 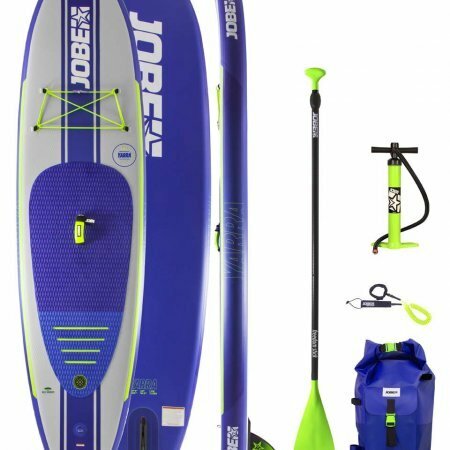 The Jobe Neva 12’6 2018 package really is a great deal offering the build quality of brands like Red Paddle SUPs.